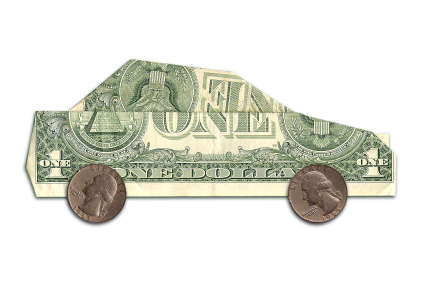 Can I Wipe Out a Car Title Loan in Bankruptcy and Keep the Car? My car was paid off, but I recently took out a car title loan. I am current on the loan, but the payment is a hardship. I don’t want to lose my car. If I file for bankruptcy, can I wipe out the car title loan without losing my car? The short answer: In Chapter 7 bankruptcy you will lose your car if you fail to make the payments. However, there are other options that might help you keep the car. The lender took a security interest in your car when it made the loan to you. Your car serves as collateral for repayment of the loan – if you don’t pay, the car title loan lender can repossess the car. While Chapter 7 bankruptcy will discharge your personal liability to repay loan, it doesn’t get rid of the “lien” or security interest that the lender has in your car. That means that if you don’t make the payments, the lender can repossess. One option is to “redeem” the car in Chapter 7 bankruptcy. You do this by paying the car title loan lender the current market value of the car. For example, if you owe $8,000 to the lender, but your car is only worth $3,000, you can redeem the car for $3,000. If you do that, the car becomes yours. The remaining $5,000 that you owe the lender becomes unsecured debt and can be discharged in your bankruptcy case. In order to redeem your car, however, you’ll have to pay the entire amount in full – you can’t pay in installments. Most people don’t have the money to do this. There is one exception: You cannot cram down the loan if it was used to purchase a car within 910 days prior to the bankruptcy filing. Since yours is a car title loan, you don’t have to worry about this exception. I have one last idea for you. Lenders are sometimes willing to renegotiate the loan terms after you have filed for bankruptcy. For example, your lender might agree to reduce your interest rate, the monthly payment, or the loan balance. However, lenders are rarely willing to do this unless the value of the car is much less than the amount owed. Otherwise, the lender has no incentive to modify the loan.